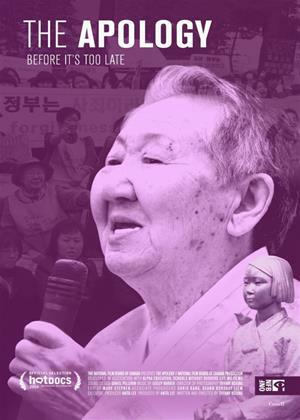 "The Apology" follows the personal journeys of three former "comfort women" who were among the 200,000 girls and young women kidnapped and forced into military sexual slavery by the Imperial Japanese Army during World War II. Some 70 years after their imprisonment in so-called "comfort stations", the three "grandmothers-Grandma Gil in South Korea, Grandma Cao in China, and Grandma Adela in the Philippines-face their twilight years in fading health. After decades of living in silence and shame about their past, they know that time is running out to give a first-hand account of the truth and ensure that this horrific chapter of history is not forgotten. Whether they are seeking a formal apology from the Japanese government or summoning the courage to finally share their secret with loved ones, their resolve moves them forward as they seize this last chance to set future generations on a course for reconciliation, healing, and justice.